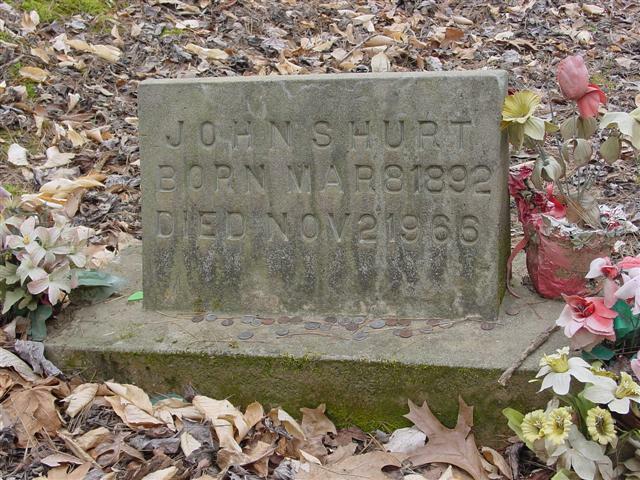 The Hurt family cemetery, above and, below, John S. Hurt's gravestone. No blues singer ever presented a more gentle, genial image than Mississippi John Hurt. A guitarist with an extraordinarily lyrical and refined fingerpicking style, he also sang with a warmth unique in the field of blues, and the gospel influence in his music gave it a depth and reflective quality unusual in the field. Coupled with the sheer gratitude and amazement that he felt over having found a mass audience so late in life, and playing concerts in front of thousands of people -- for fees that seemed astronomical to a man who had always made music a sideline to his life as a farm laborer -- these qualities make Hurt's recordings into a very special listening experience. John Hurt grew up in the hill country on the edge of the Delta in the small town of Avalon. In 1903, he began playing ragtime on guitar and working as a farmhand, later developing his own unique brand of blues. In 1927, he came to the attention of a scout for Okeh Records which resulted in a recording session in Memphis, February of 1928, yielding eight sides and another session later that year. 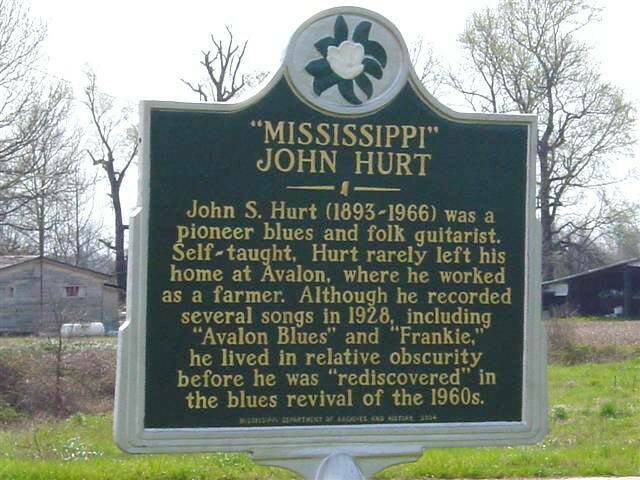 Almost four decades later, the blues revival of the 1960s "rediscovered" Mississippi John Hurt. 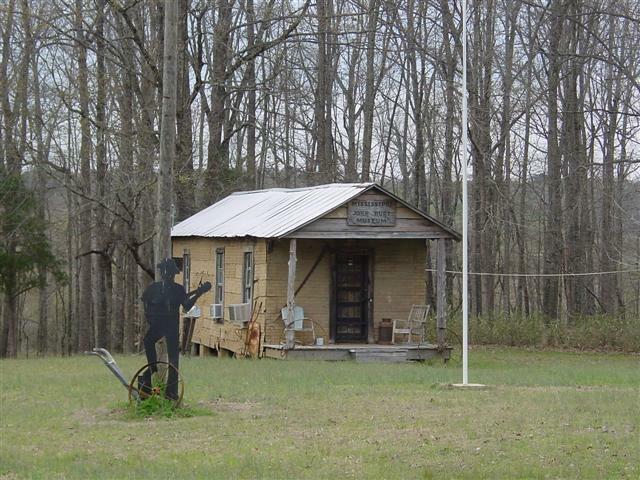 They found a bluesman playing just as he had in the 20s, unaffected by the winds of change in the music industry. Commercial success found Mr. Hurt late in life as he toured college campuses, coffeehouses and made a new group of recordings. John Hurt was never bitter, but was instead appreciative of that late-blooming recognition. Unlike many of his contemporaries, John Hurt never fell prey to the excesses common to popular musicians of all genres. 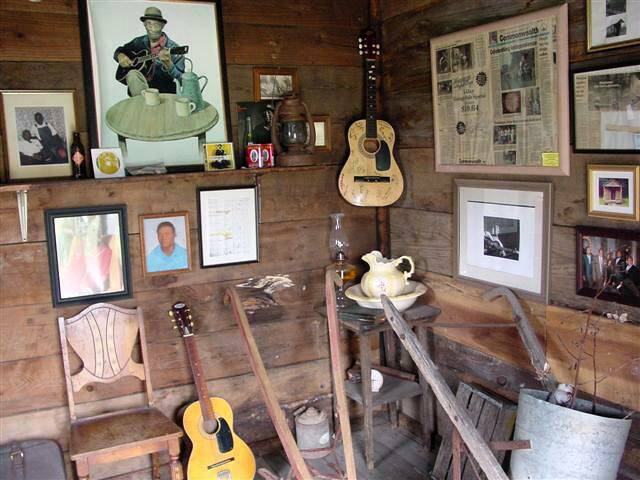 He lived his life as a gifted musician, composer, entertainer and farm worker. 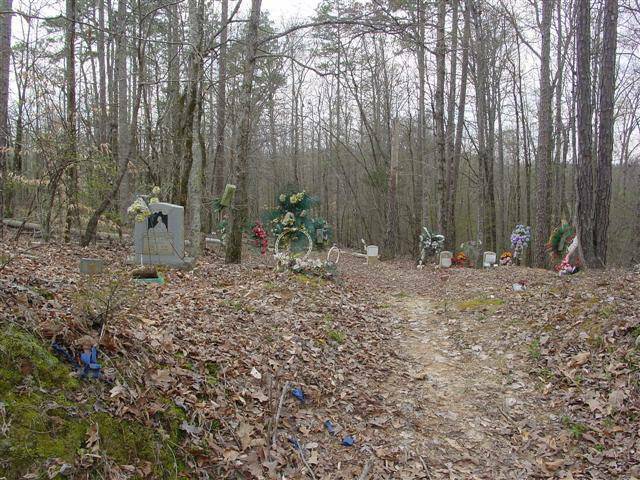 He lived honorably and with dignity until he died and was interred in his beloved Mississippi hills in 1966. He left behind a unique style of music that he had developed only to please himself. The uniqueness of that music earned him a huge following of admirers who found in Mississippi John Hurt much more to admire than simply his music. RoadDawg and John Hurt's granddaughter, Mary F. Hurt-Wright, an exceptionally friendly, gracious and personable lady. 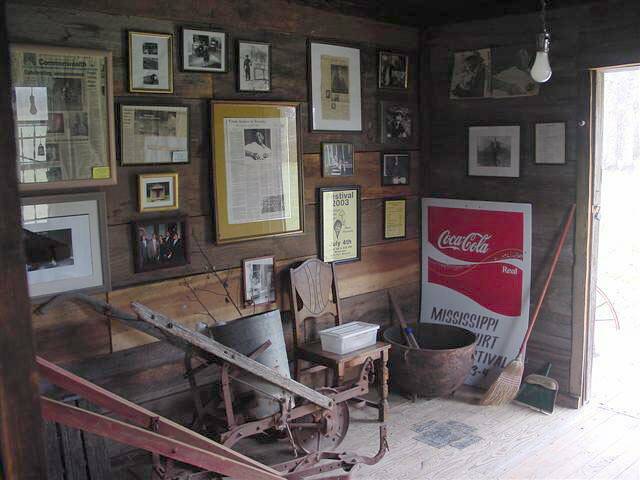 The museum in the above photographs was the home of Mississippi John Hurt for many years. The land on which it was orginally located was to be sold and the house demolished. 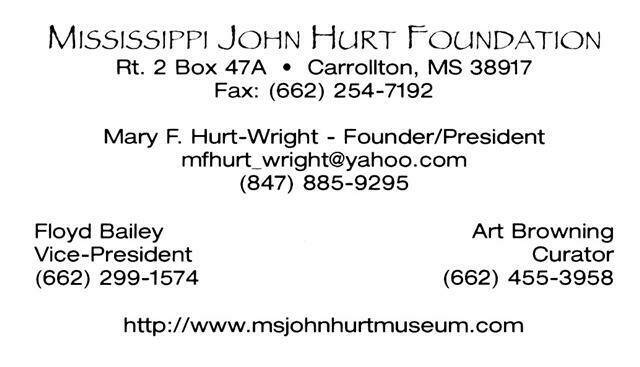 At her own expense, Ms Hurt-Wright had the structure moved from its original location to her land so that she could see to its preservation and establish the museum. 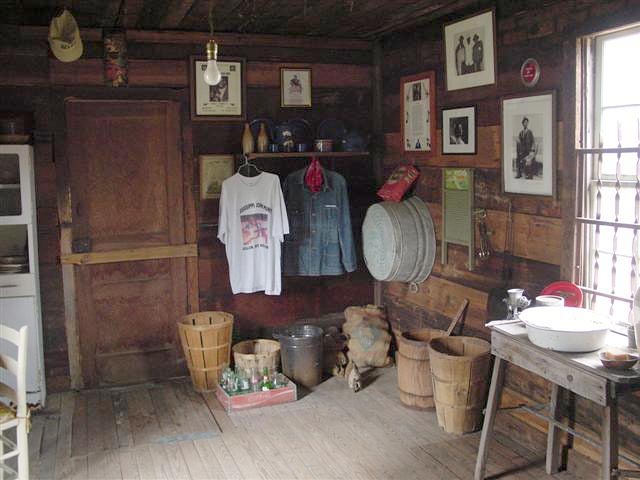 Preserving this house and its contents is a daunting and expensive enterprise. Public or state financial assistance would likely involve moving the structure from its present authentic location, which would be a shame. Donations would definitely be appreciated. To make a donation, please note the contact information below. One of the difficulties in preserving this structure is obtaining the faux brick asphalt siding which has not been on the market for some time. If you know where some may be obtained, please email me. 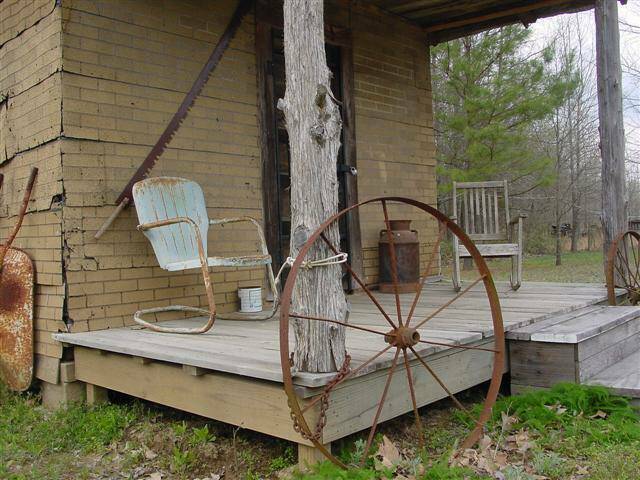 Home of Mississippi John Hurt, Avalon is just barely outside the Mississippi Delta, perched high above the Delta on Choctaw Ridge. Many of the area's wooded, hilly, winding, gravel roads skirt the hilltops at the edge of the Delta, occasionally offering motorists spectacular panoramic views of the Delta to the west. 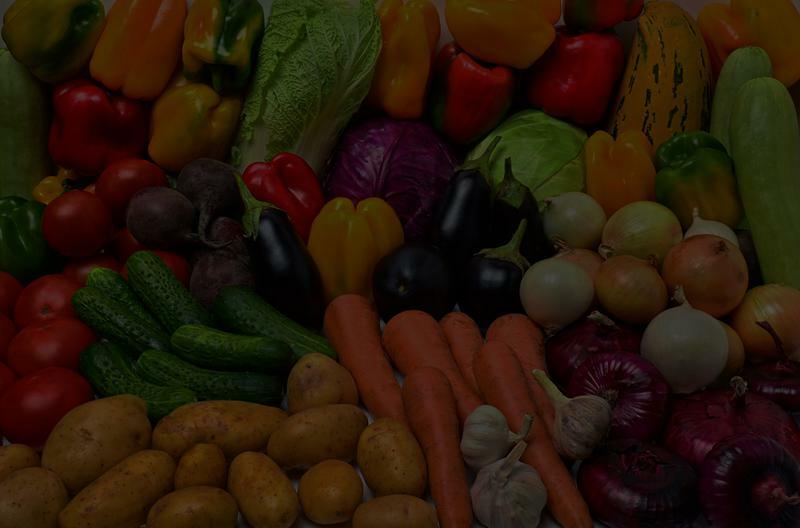 All of the people whom I have met there have been friendly and hospitable. 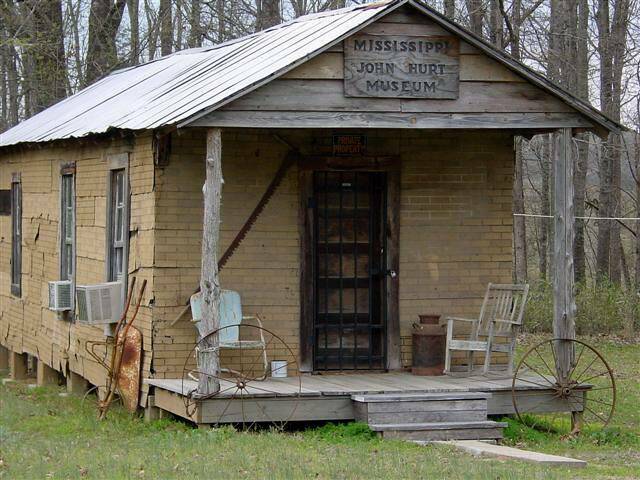 For a visiting blues enthusiast, a stop at the Mississippi John Hurt Museum is an absolute must. 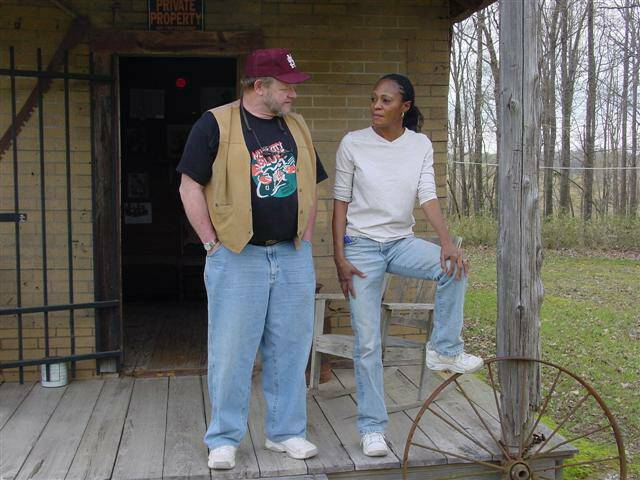 This is a non-profit, personal enterprise, attempting to preserve a small, but important piece of blues history. Please try to leave a generous contribution to that effort when you visit.